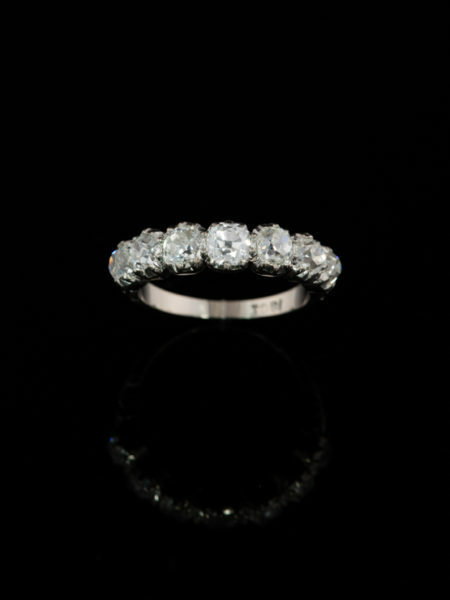 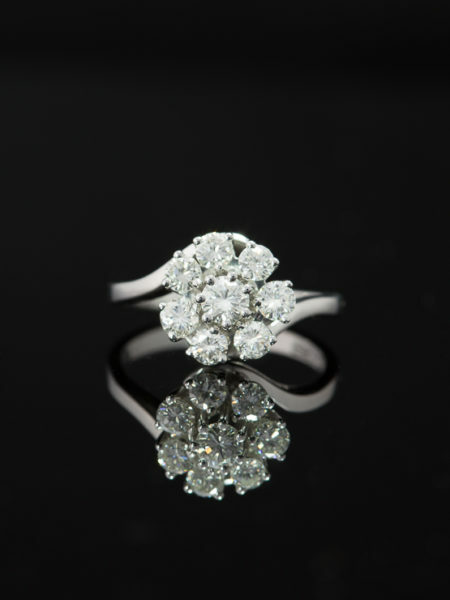 Blossoming gracefully over the finger sparkling petals weave their magic between diamonds. 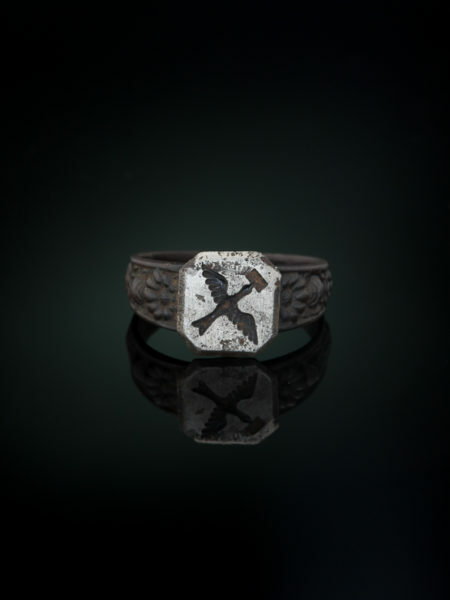 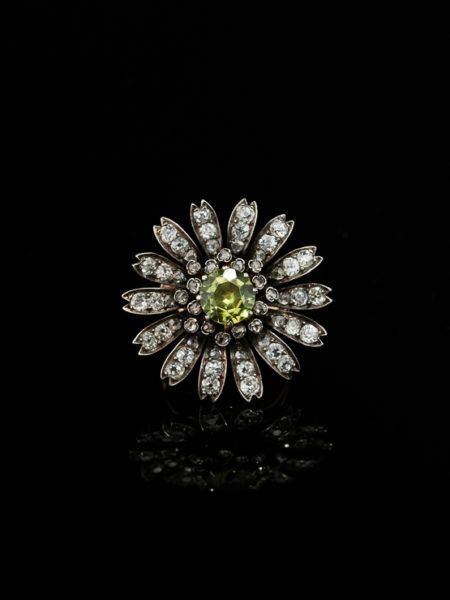 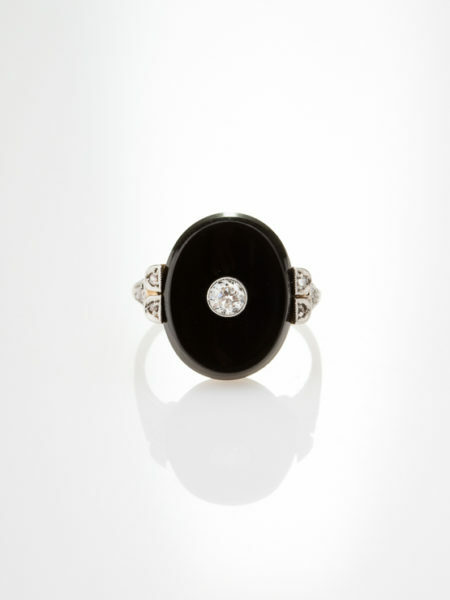 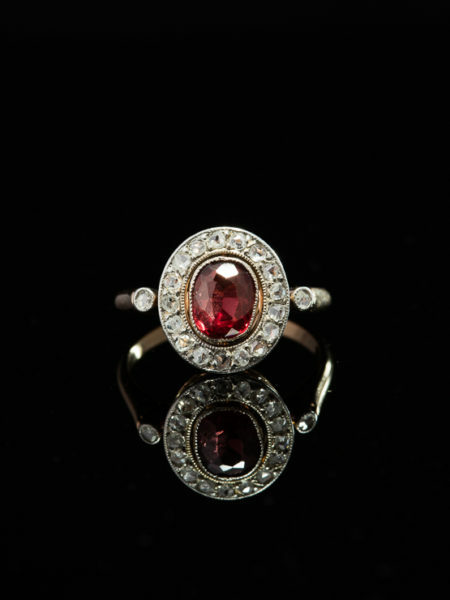 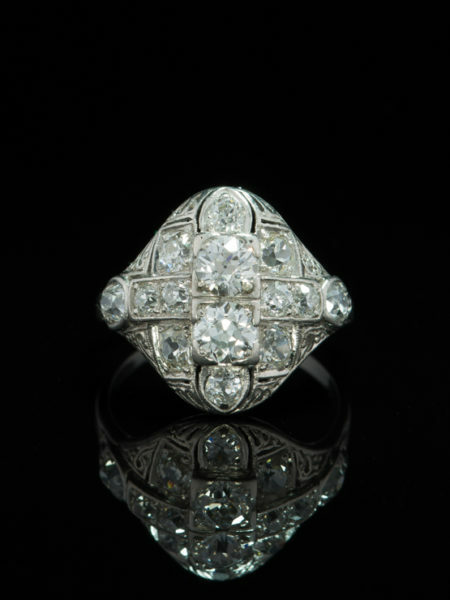 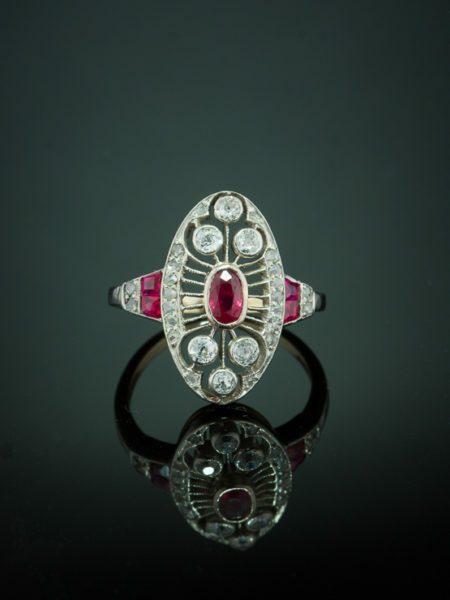 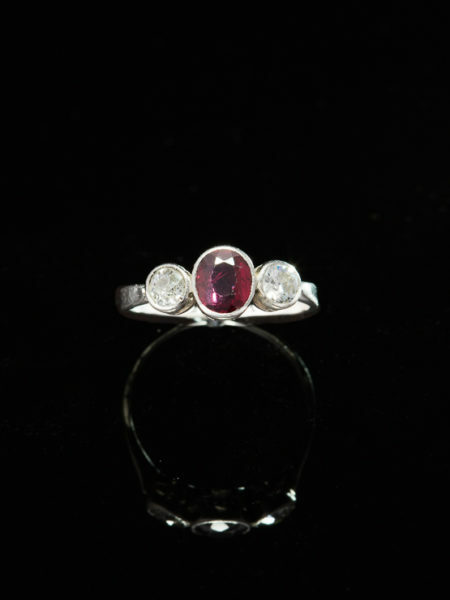 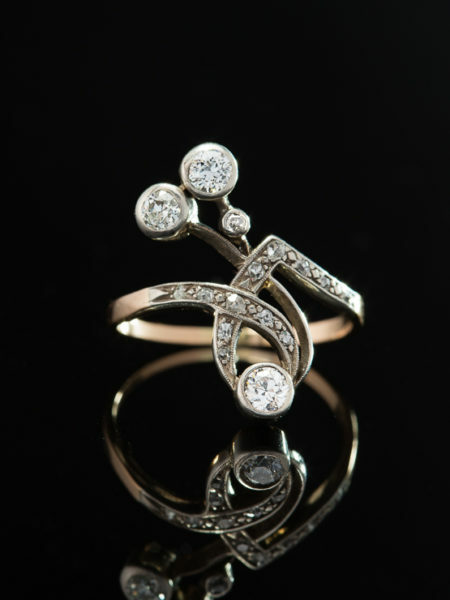 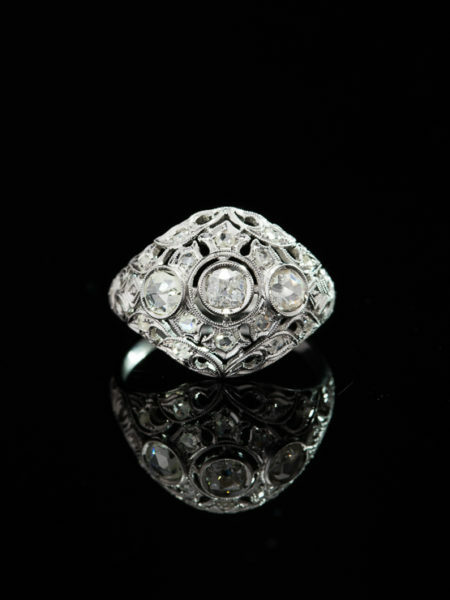 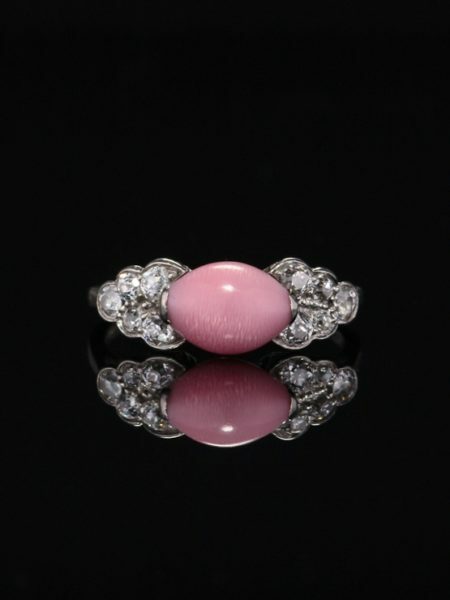 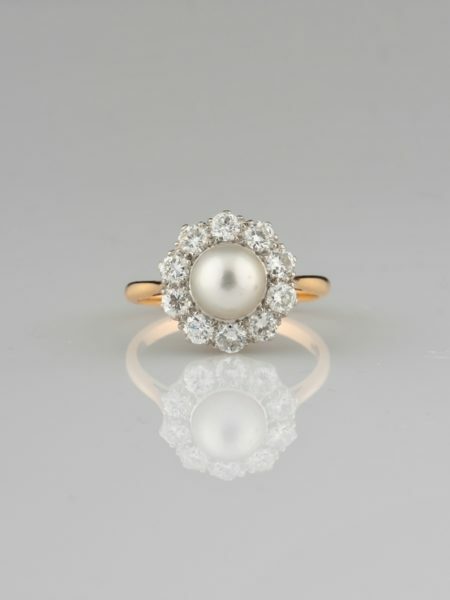 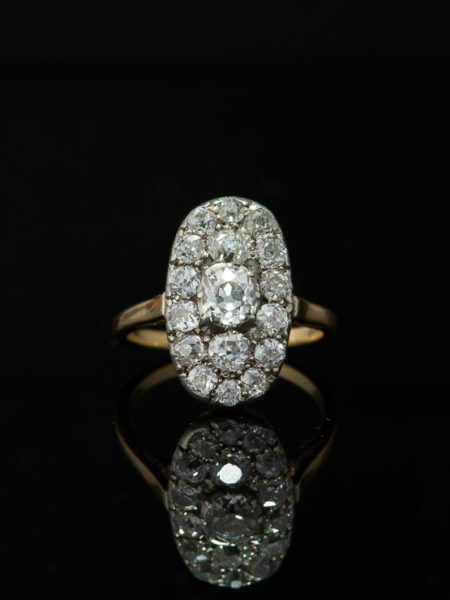 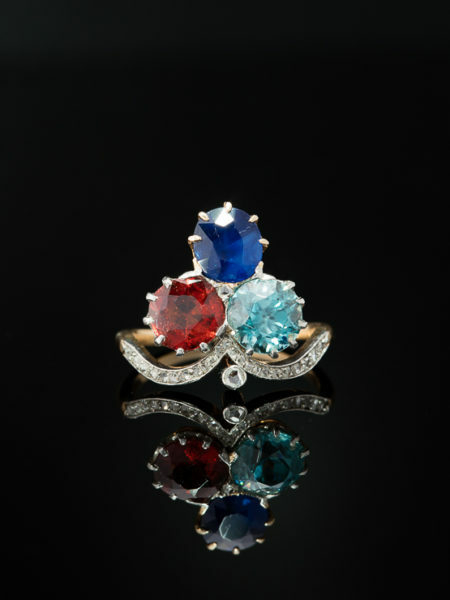 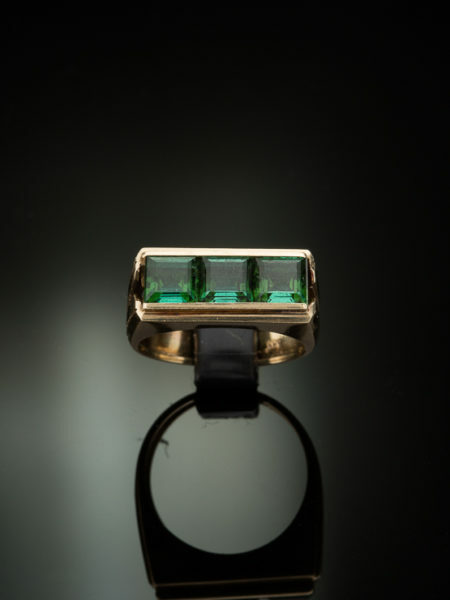 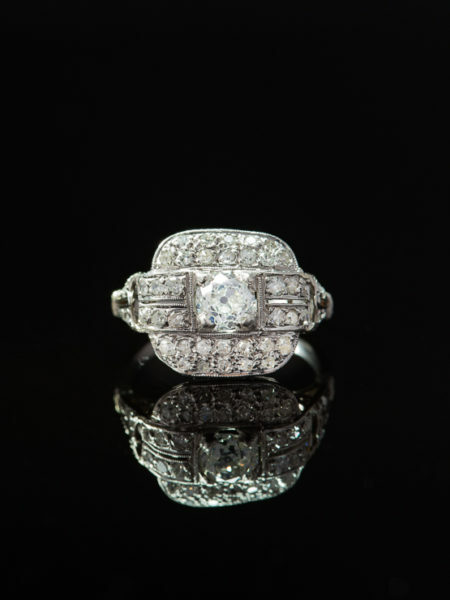 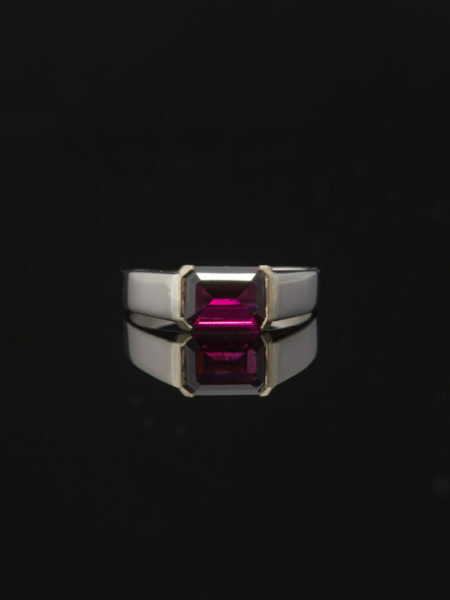 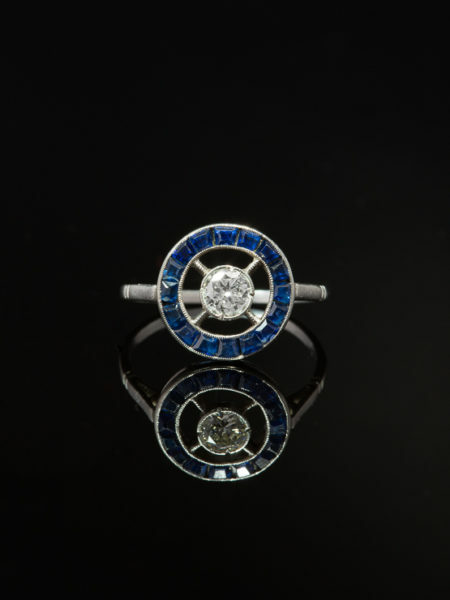 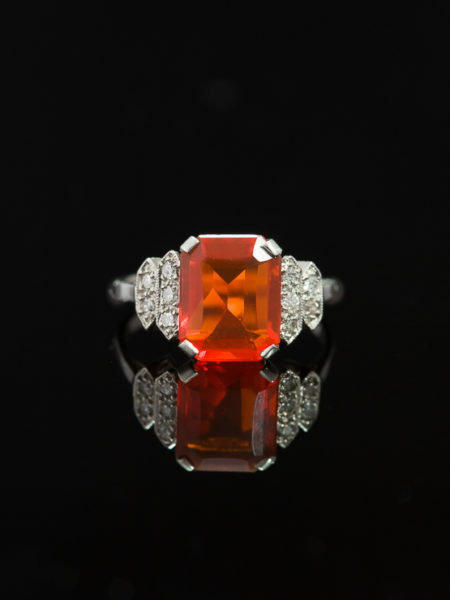 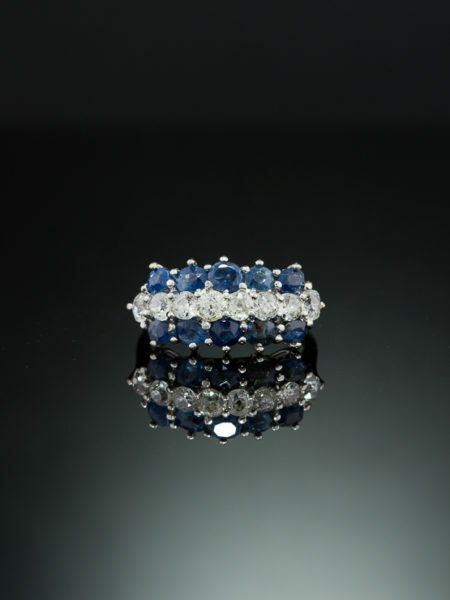 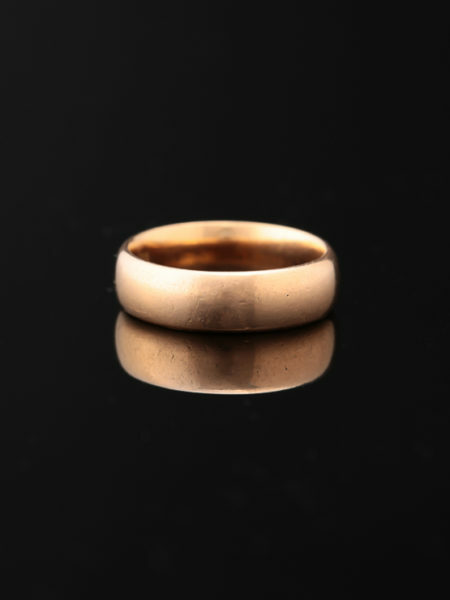 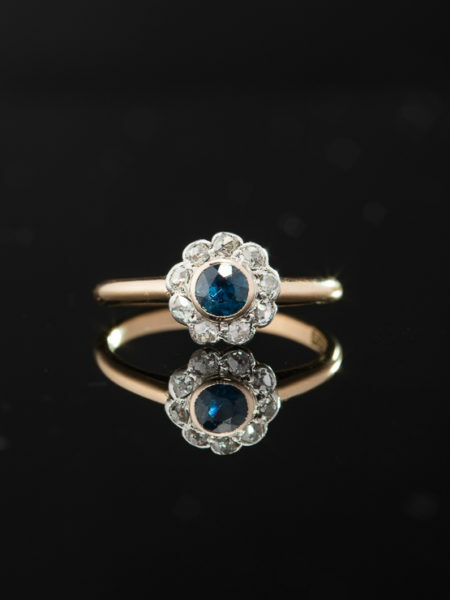 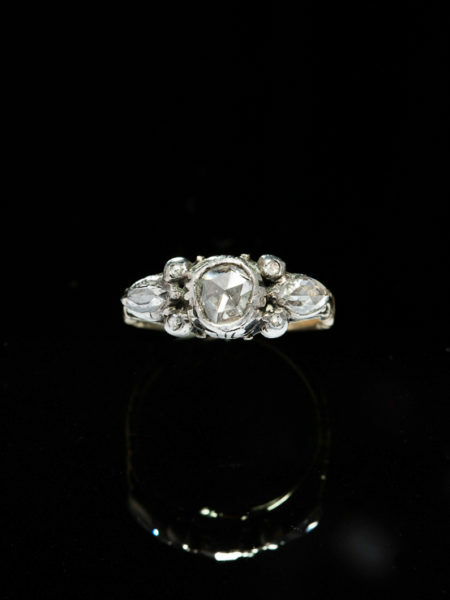 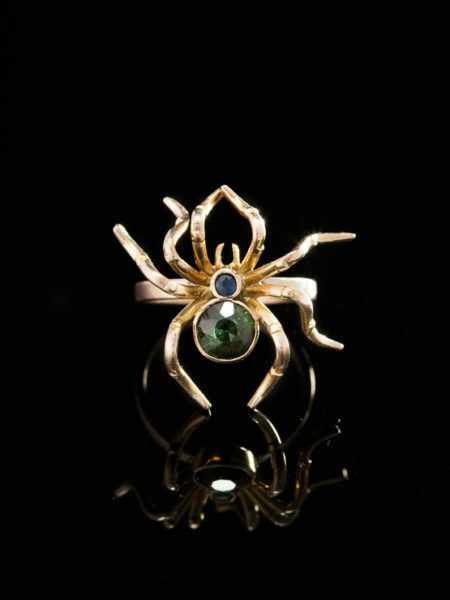 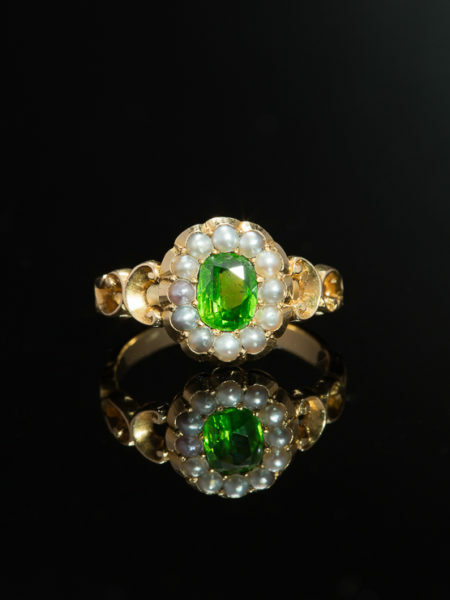 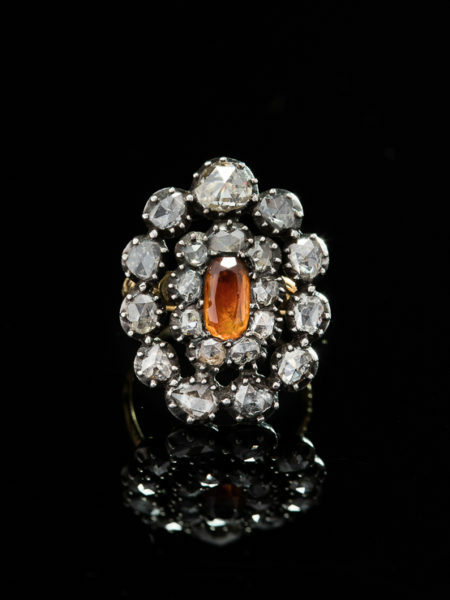 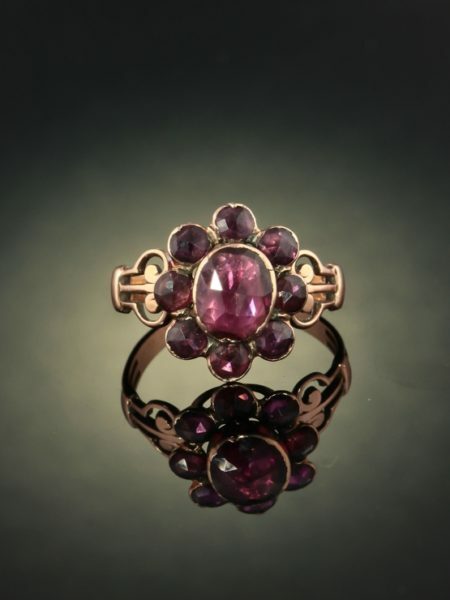 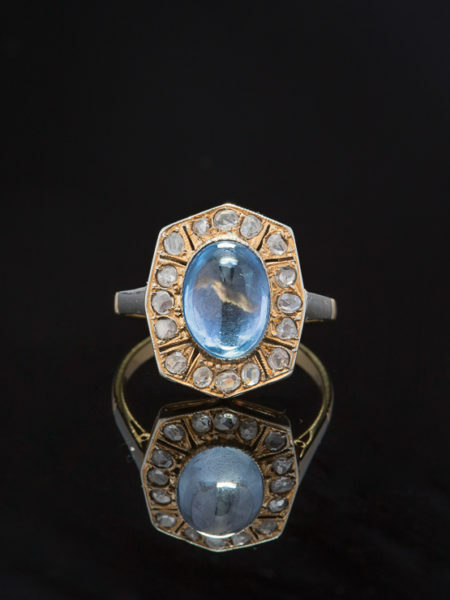 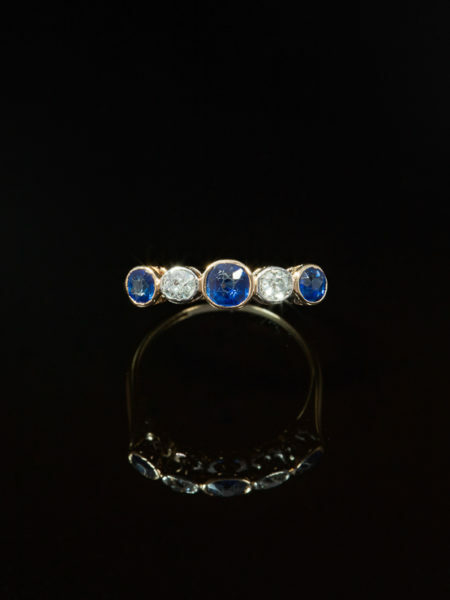 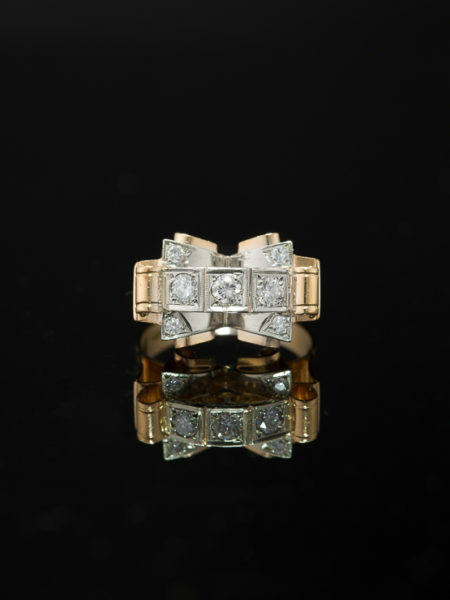 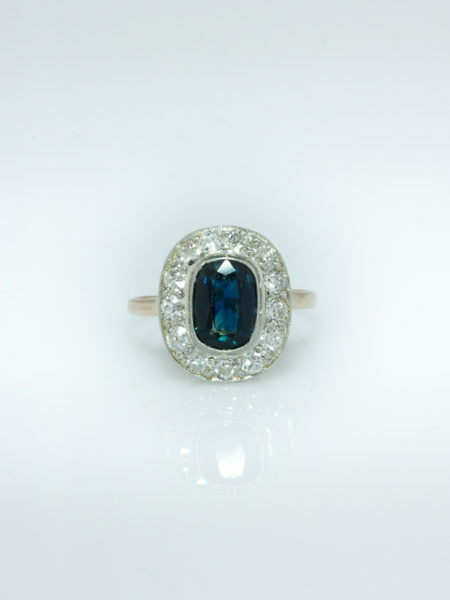 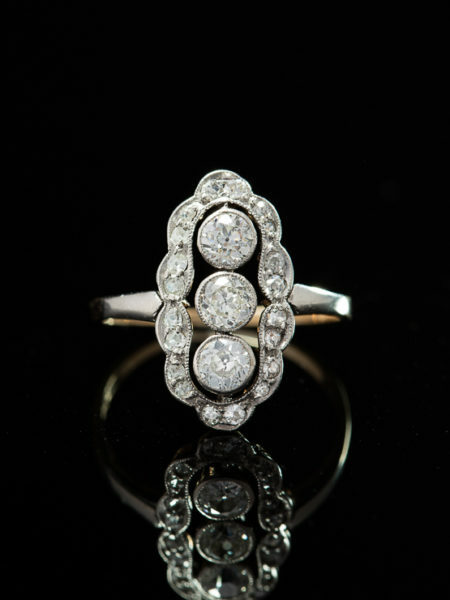 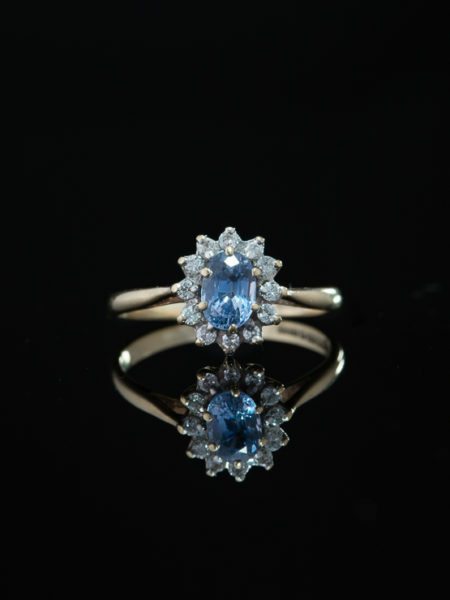 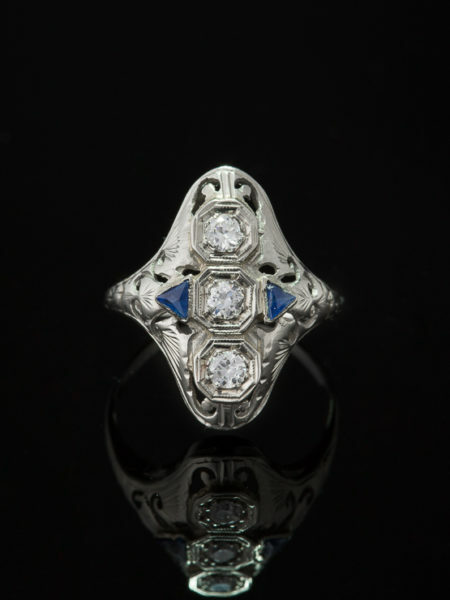 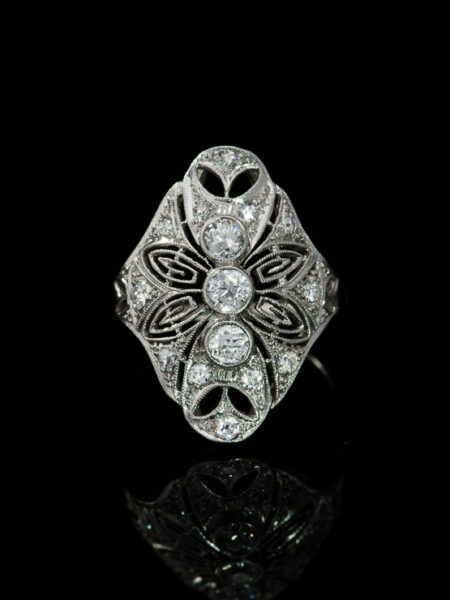 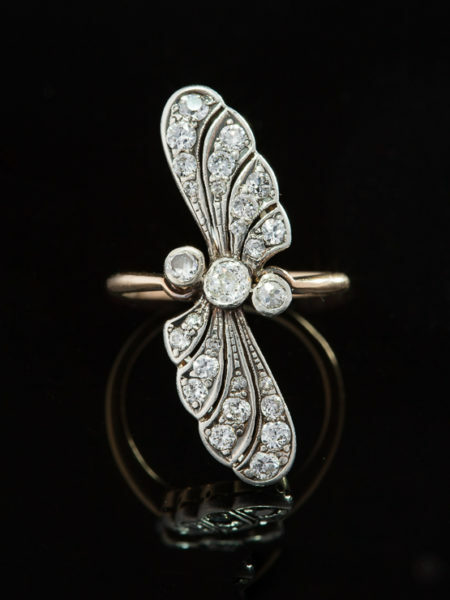 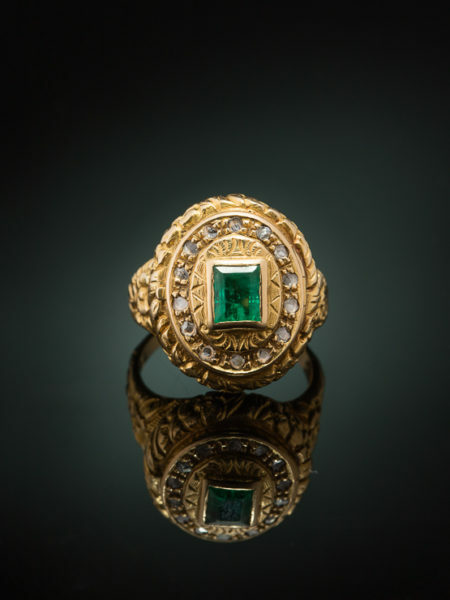 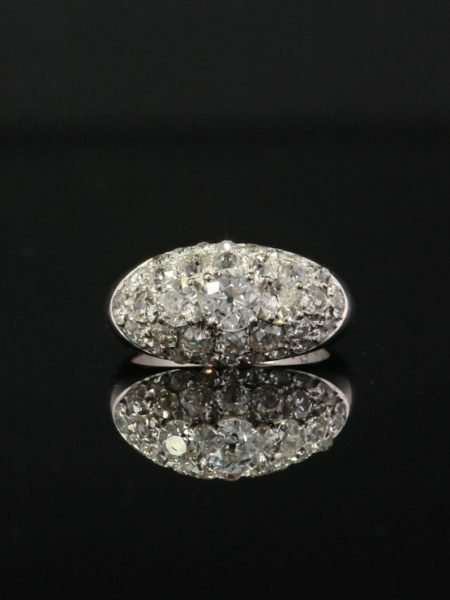 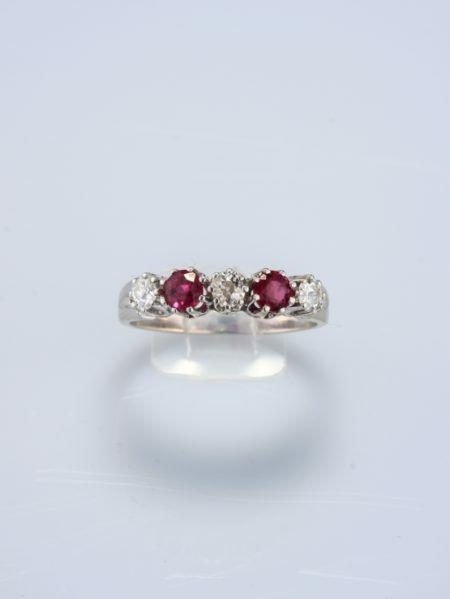 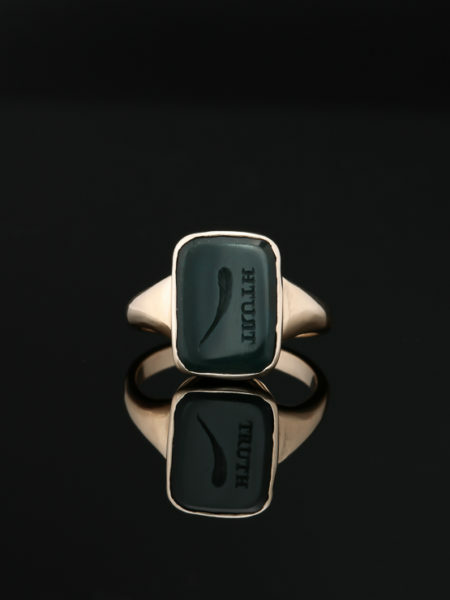 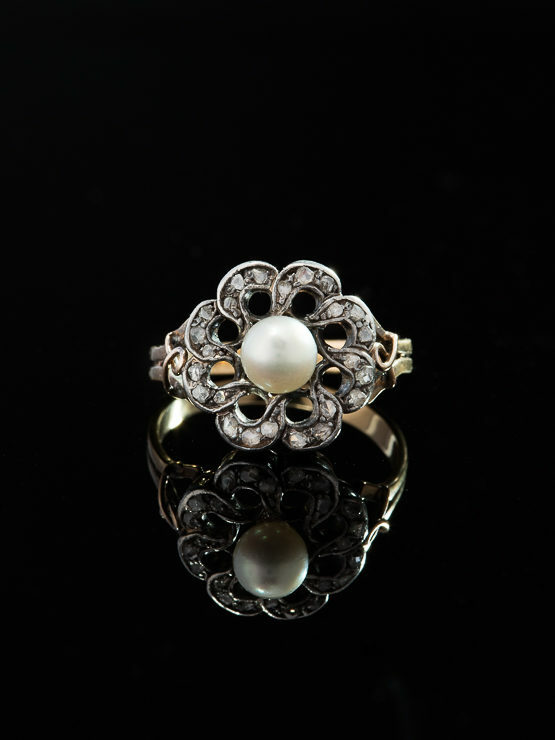 Hailing from Victorian era this ring has survived decades upon decades in remarkable form. 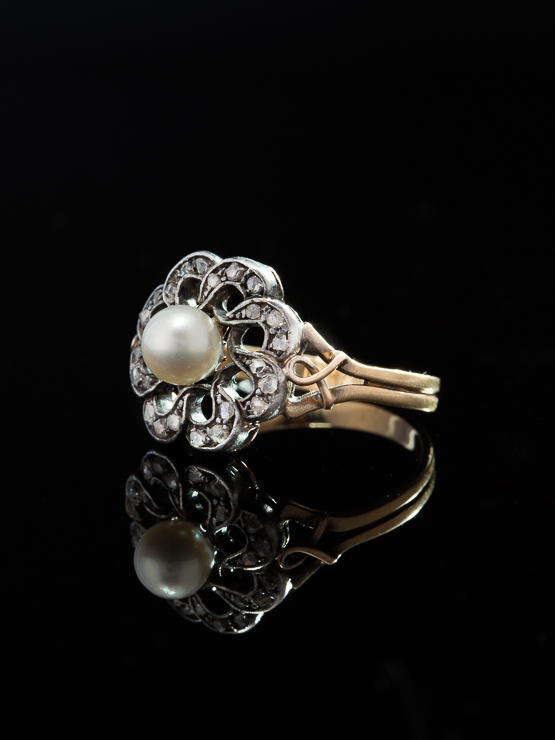 Provocative pearl and sparkling diamonds blossom in a statement of delicacy and drama from Victorian era. 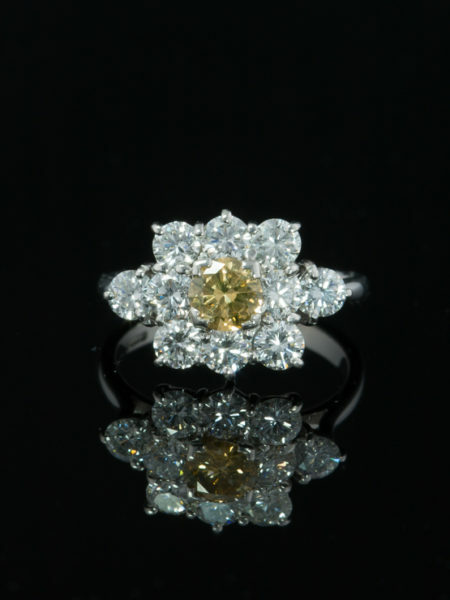 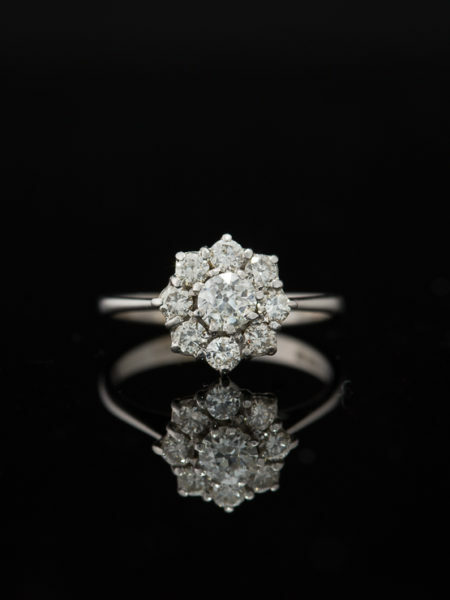 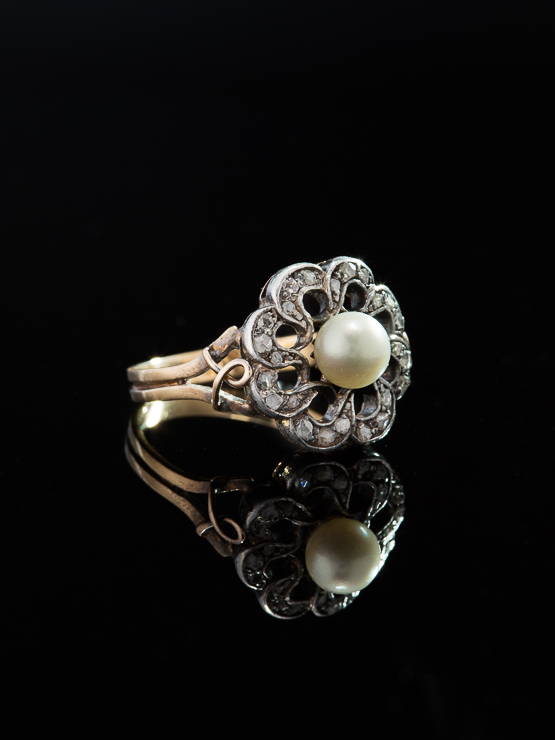 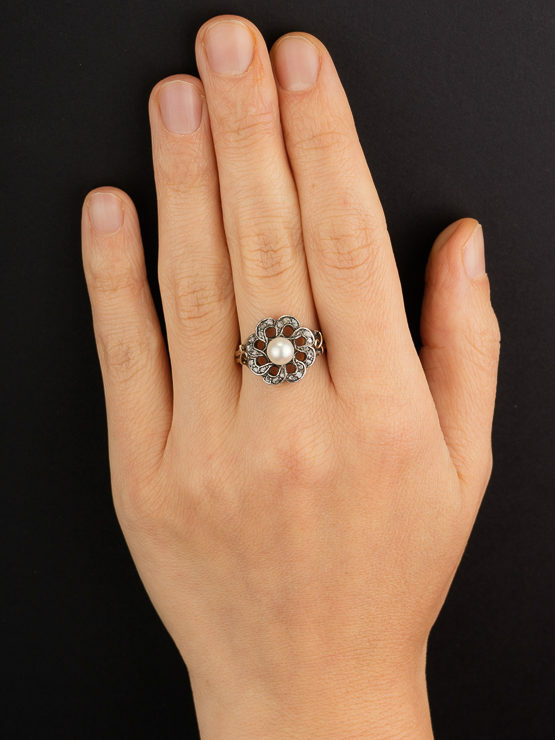 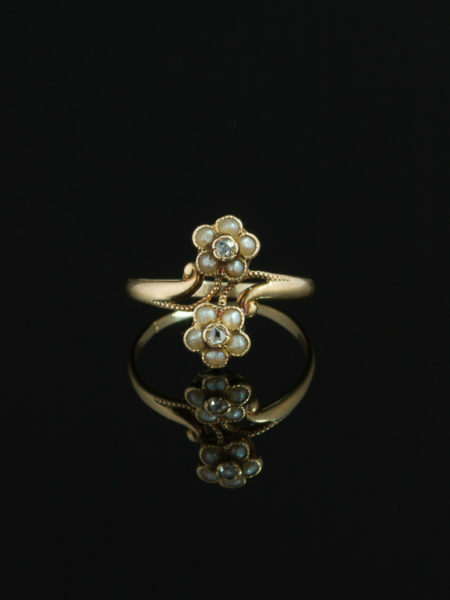 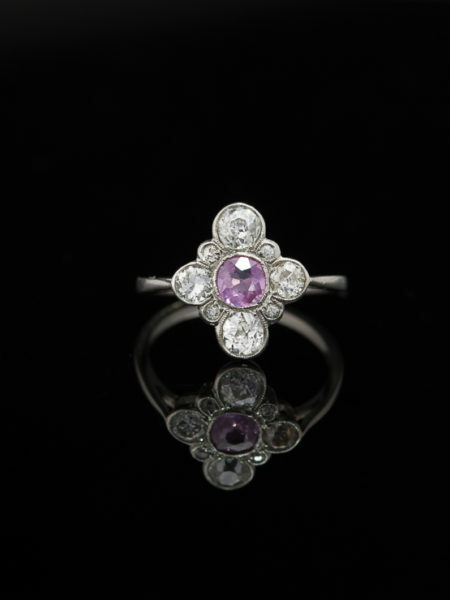 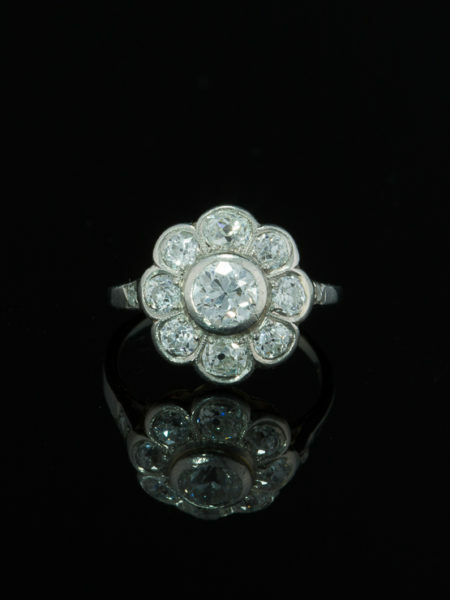 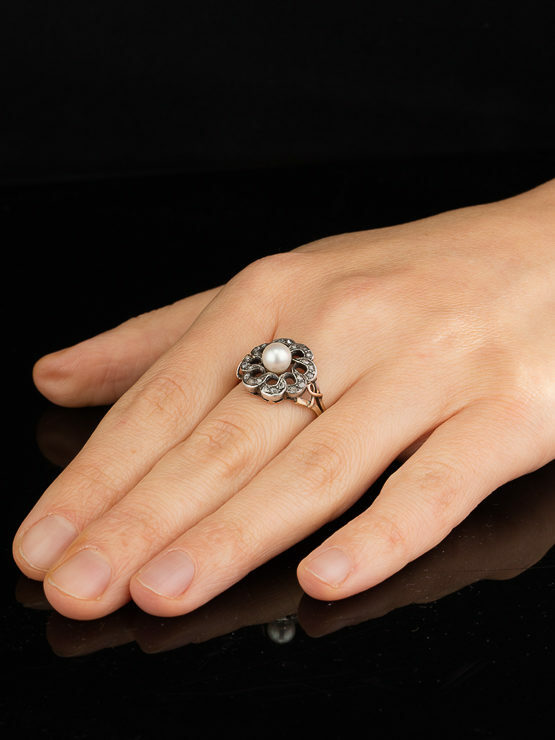 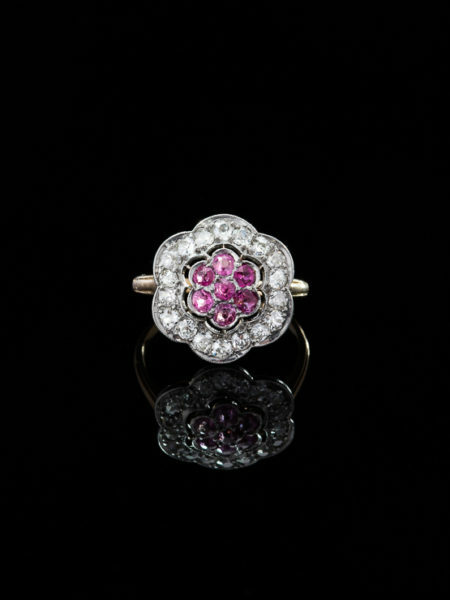 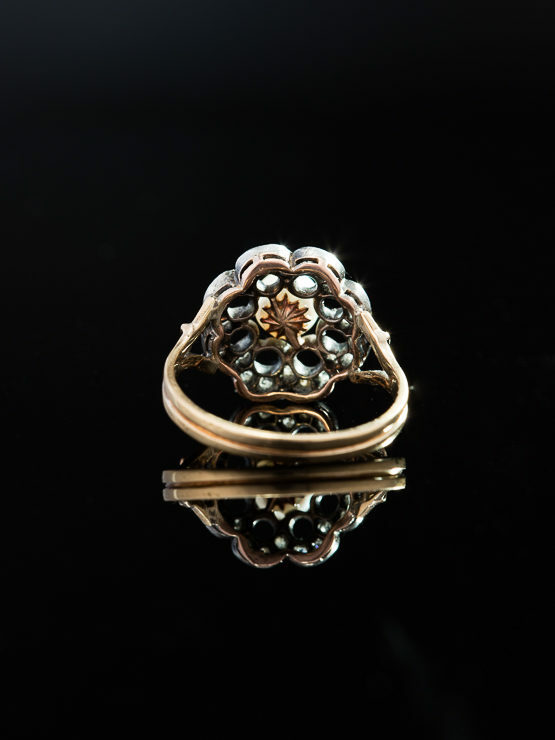 The flower cluster is rendered here in a Victorian ring with delicacy, sensuality and attention to detail. 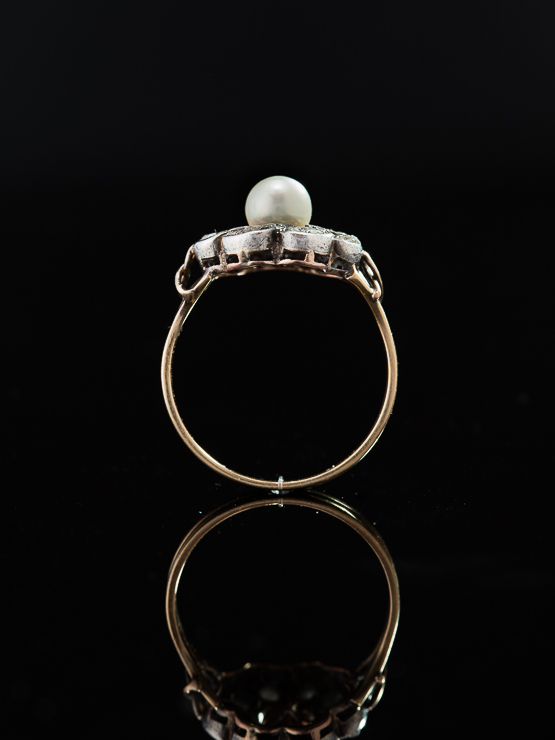 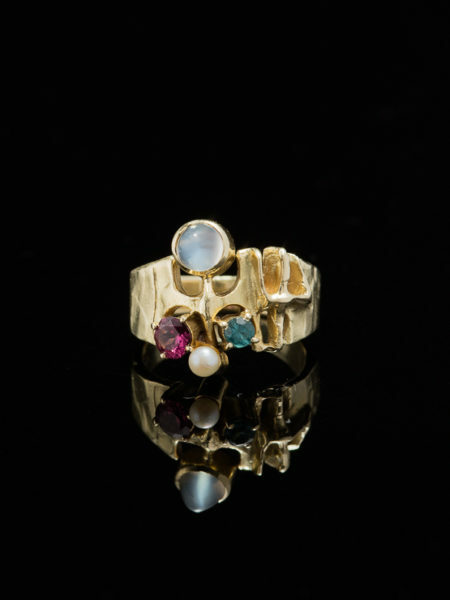 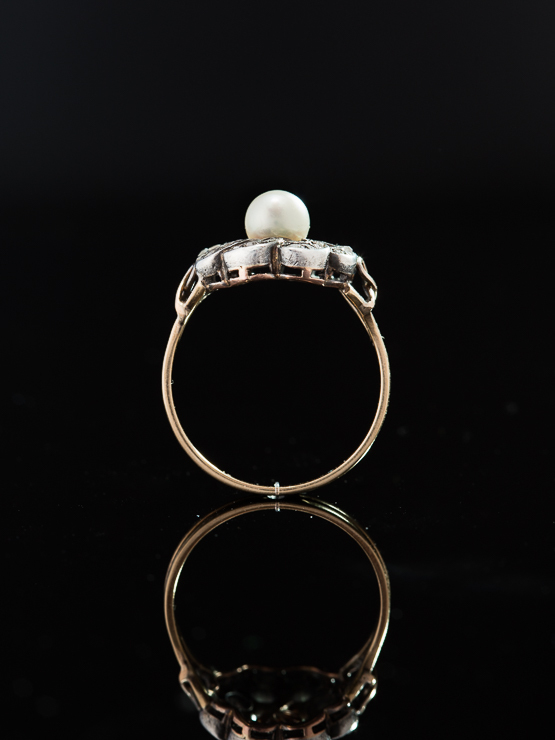 A saltwater pearl of approx 6 mm in diameter rise and transports its translucency and shimmering iridescence from watery depths accentuating the sensuality of the ring. 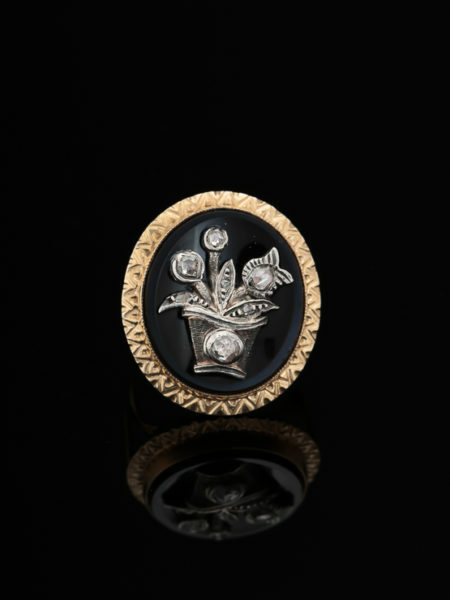 Framed by a stunning corolla of twenty four rose cut diamonds totaling approx .72 Ct by spread set on silver over gold in an impressive design. 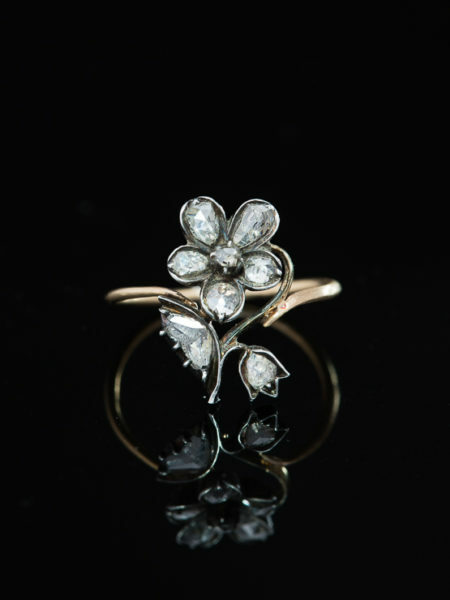 Artfully crafted in silver over 15 Kt yellow gold by a master goldsmith during Victorian era.